Iran just unveiled a new short-range ballistic missile on Monday, just a few days after test firing a variant of the missile over the Strait of Hormuz. The Fateh-e Mobin missile is an “agile, radar-evading and tactical missile with pinpoint accuracy,” said Iranian Defence Minister Brig. Gen. Amir Hatami. The Fateh-e Mobin, which means “Bright Conqueror,” has a range of about 483 to 805 miles. 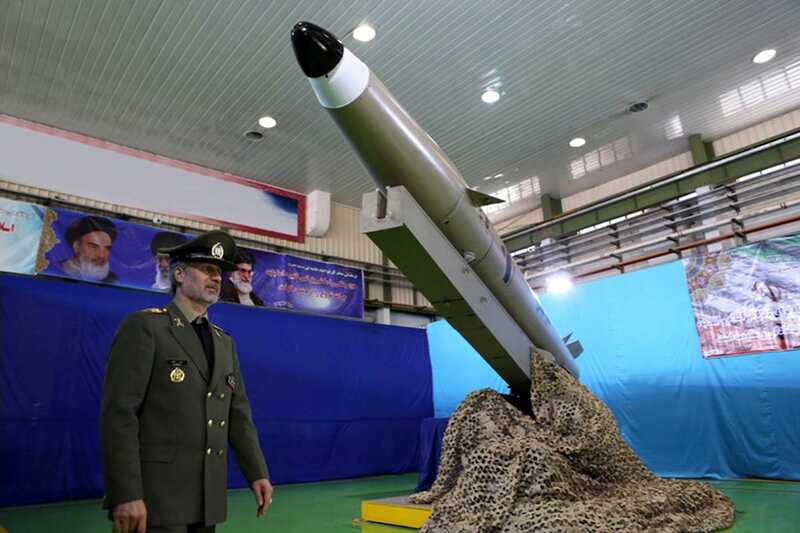 The Fateh-e Mobin missile is an “agile, radar-evading and tactical missile with pinpoint accuracy,” said Iranian Defence Minister Brig. Gen. Amir Hatami, according to Defence News, citing the Iranian Tasnim News Agency. “The more intense are sanctions, pressures, smear campaigns, and psychological warfare against the great nation of Iran, the greater will become our will to enhance our defensive power in all areas,” Hatami said, according to Press TV, an Iranian news outlet. The Fateh-e Mobin, which means “Bright Conqueror,” has a range of about 483 to 805 miles, Defence News reported. The unveiling of Bright Conqueror came just a few days after the Iranian military test-fired a Fateh-100 Mod 3 ballistic missile from an Iranian Revolutionary Guard base in Bandar-e-Jask,according to Fox News. The anti-ship Fateh-100 Mod 3 ballistic missile flew about 100 miles over the Strait of Hormuz, landing at an Iranian test range northwest of the base, Fox News reported. It was the first time Iran test fired a ballistic missile since March 2017, Fox News reported, but it’s unclear if the missile hit its target, Defence News reported. The test fire also came as Iran conducted a naval exercise practicing closing the Strait of Hormuz, which Tehran has been threatening to do since President Donald Trump threatened sanctions on countries importing Iranian oil in late June.